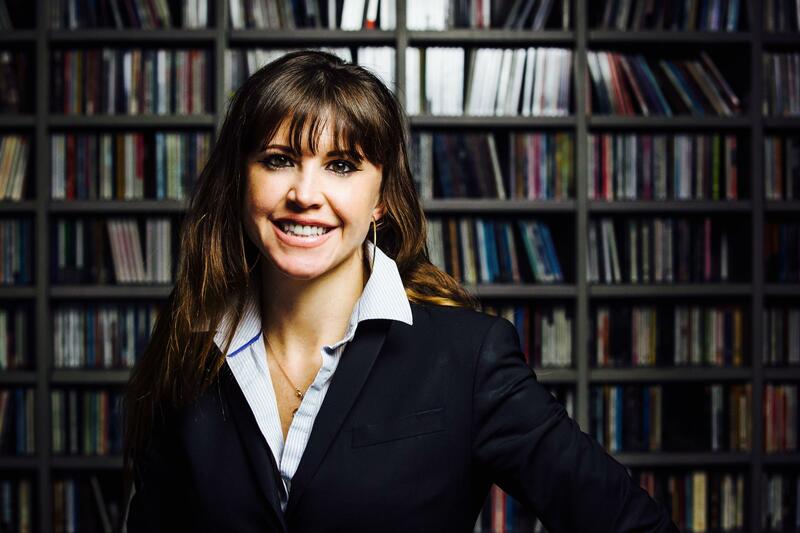 Rebecca McInroy is an award-winning show creator, host, and executive producer for KUT, KUTX and KUT.ORG. Rebecca believes it is important that Public Media directly connects with the community it serves. Many of her programs combine the talent, and knowledge of the Austin community with the production arm of KUT/X Public Media to produce content that bridges the gap between the public and higher education. She can be heard co-hosting the fortnightly food politics podcast The Secret Ingredient with food and agriculture corresponded for Mother Jones, Tom Philpott, and Raj Patel of the LBJ School of Public Affairs. She is also the creator, executive producer, and host of the live discussion program in Austin, Texas Views and Brews. She is the creator, executive producer, and editor of the national weekly radio program Two Guys on Your Head hosted by professors Art Markman and Bob Duke. With her most recent projects she is the executive producer and editor of the documentary series Stuart Hall: In Conversations with host Dr. Ben Carrington about the life and legacy of the cultural theorist Stuart Hall, and the executive producer of This is Just To Say a podcast about poetry hosted by poet and novelist Carrie Fountain. McInroy’s other programs include: The Write Up with Owen Egerton; In Perspective; and Liner Notes. Sometimes we get so wrapped up in a debate that it doesn't occur to us to change the frame of the conversation. As Dr. Art Markman and Dr. Bob Duke talk about in this episode of Two Guys on Your Head, however, it's important to find new ways to talk and think about things. Last week's converstion on editing left us thinking: Maybe one reason people are hesitant to edit their work is because they might be seen as going back on their ideas, or flip-flopping. In this week's eidtion of Two Guys on Your Head, Dr. Art Markman and Dr. Bob Duke talk about why flip-flopping is seen as a negative thing, and how re-framing it could help you do better work and overcome your fear of changing your mind. When we're just starting out as writers or artists it can be hard for us to go back to the drawing board after we've composed the first draft. But why is it easier to edit after years of experience? In this edition of Two Guys on Your Head, Dr. Art Markman and Dr. Bob Duke talk about the psychology of editing. We might think that confidence is a performance and that some people are more believable than others because they exude a certainty that we don't have. However, it turns out that confidence comes with experience and knowledge, and that having some hesitation about accuracy can be beneficial. In this edition of Two Guys on Your Head, Dr. Art Markman and Dr. Bob Duke talk about the psychology of confidence. You can listen to the show by clicking on this link. As humans we like to categorize, and with services like Ancestry.com and 23 and Me, we have new ways to figure out where we fit and where we don't. But what can we really find out that we don't already know? In this edition of Two Guys on Your Head, Dr. Art Markman and Dr. Bob Duke talk about the psychology of DNA testing. You can listen to this and download this show by clicking on this link. "[Poetry] is the only place that I can defy the world," Roger Reeves told poet Carrie Fountain and producer Rebecca McInroy for this edition of This Is Just To Say. Thinking of poetry as a place and a practice, rather than the attempt to create the "perfect poem" was just one of the many revelations in their conversation. Reeves also generously debuted his poem "Children, Listen," now available at poets.org, and he shared one of his favorite poems "Preliminary Question" by Aimé Césaire, from his book Solar Throat Slashed. You can download the audio for this program by clicking on this link. The idea that money doesn't make you happy is easy to get behind if you have it, but if you don't it's a hard sell. But the correlation between money and happiness is more complicated then one might think. In this edition of Two Guys on Your Head, Dr. Art Markman and Dr. Bob Duke explain the relationship between money, security, opportunity and happiness. You can download the audio file for this show by clicking on this link. We might take the card we swipe for granted at the grocery store when we buy food. We might look at our bank balance and not even think of how unique it is that we can translate those little numbers into experiences and things. It's merely one of the benefits of having big brains. On this edition of Two Guys on Your Head, Dr. Art Markman and Dr. Bob Duke talk about the psychology of how our brains determine value. Best-selling poet, writer and slam performer Cristin O’Keefe Aptowicz reads her poem "The First Check-Up After My Mother Died" from her book How To Love The Empty Air, and talks with poet and novelist Carrie Fountain about the possibility models for her as a poet, what it means to grieve with an audience, and the importance of the work of Kevin Young in her life. Framing negotiations in terms of winning and losing w can set us up for disappointment, not only when it comes to how we negotiate with others but also how we negotiate with ourselves. In this edition of Two Guys on Your Head, Dr. Art Markman and Dr. Bob Duke off some other options that might help us win no matter what. You can listen back to this episode by clicking this link. Poet Emmy Pérez reads her poem "Green Light Go" and talks with poet and novelist Carrie Fountain about living on the border as an act of resistance, the beauty of writing from anger, the healing power of the natural world and much more. You can listen to the show by clicking this link. Poet Marie Howe reads and discusses her poem "One Day" with host poet and novelist Carrie Fountain. They talk about poetry as a spiritual practice, their time together at UT Austin's Michener Center, and Lucie Brock-Broido's poem, "The American Security Against Foreign Enemies Act."